From pencil to paint to mixed media, no medium is left untouched in the Art Studio series, a perfect choice for beginning artists just getting started. Designed for beginning artists, Art Studio: Flowers combines a variety of step-by-step art projects, including drawing, painting, mixed media, and more, to help you transform your love of flowers into fine art. Opening with a helpful overview of basic tools, materials, and techniques, the book then dives into more than 50 step-by-step projects to help artists get started drawing and painting flowers in any medium. Love to draw? No problem. Rather paint? Got you covered. 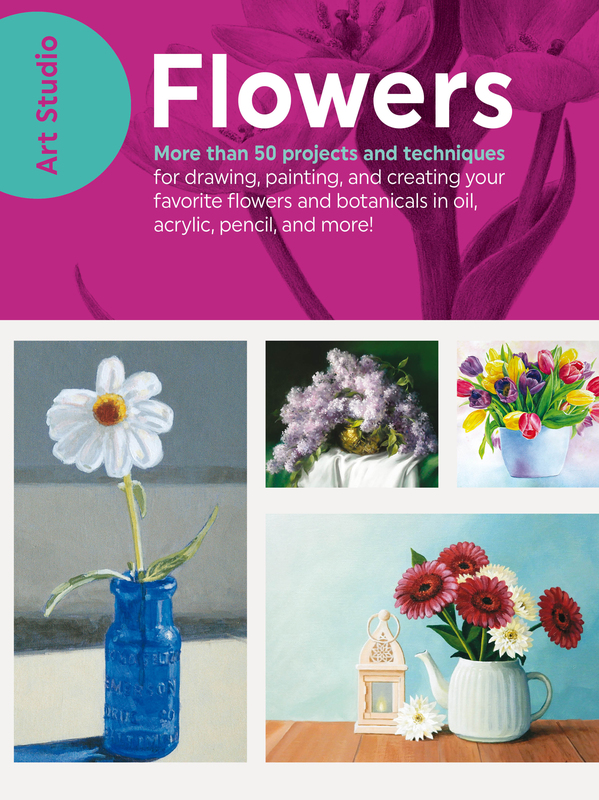 With helpful artist tips, techniques, and methods for creating floral artwork in a variety of artistic styles, the Art Studio series helps artists of any skill level find inspiration, explore different tools and materials, and have fun in the process.